Elaine Ratcliffe has been appointed as the new captain of the Great Britain and Ireland Curtis Cup team for the 2020 match and will also lead the teams in the Vagliano Trophy and the Astor Trophy in 2019. Ratcliffe, who hails from Sandbach in Cheshire, enjoyed a distinguished amateur career as a player and won the Finnish Amateur Championship in 1997 and the English Amateur Championship the following year. She was a member of the GB and I team which defeated the United States 11½- 6½ in the 1996 Curtis Cup at Killarney and played for GB and I in the 1997 Vagliano Trophy match against the Continent of Europe, who won 12½-11½ at Royal Aberdeen. Ratcliffe also represented GB&I as a player in the Espirito Santo Trophy and England in the European Amateur Team Championships. After turning professional, she was named Rookie of the Year by the Ladies’ European Tour in 1999 but was reinstated as an amateur in 2008. She has since captained England in a number of international matches, including the Ladies Home Internationals and the European Amateur Team Championships, and has twice led the European team in the Patsy Hankins Trophy against Asia-Pacific. “It is a real honour to be appointed captain of Great Britain and Ireland and I am looking forward to the challenge of preparing the team for the forthcoming international matches in 2019 and 2020,” said Ratcliffe. 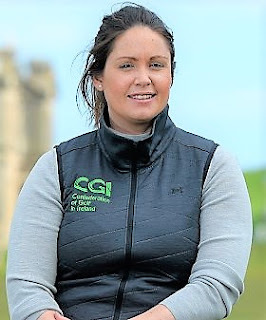 Maria Dunne has also been confirmed as the new GB and I captain for the Junior Vagliano Trophy match against the Continent of Europe at Royal St George’s in 2019. As a player, Dunne featured as a member of the Great Britain and Ireland team which beat the United States to win the Curtis Cup in 2016 at Dun Laoghaire and also played in the Vagliano Trophy against the Continent of Europe at Circolo Golf Bogogno last year. She represented Ireland in the Ladies Home Internationals and European Amateur Team Championships and won the 2017 Irish Open Stroke Play Championship. In 2018, Dunne was appointed Women and Girls Development Co-ordinator in Ireland following funding provided to the Golf Union of Ireland and the Irish Ladies Golf Union by The R and A. “I am delighted to be named as the new captain of Great Britain and Ireland for the Junior Vagliano Trophy next year,” said Dunne.